The Dynamicversion of this tractor at the FTMTA event has a 54×27 speed creep version of the new Robo-Six transmission, providing excellent speed control versatility through six powershift steps within each of five ranges. The simpler Activespecification available with all Landini 7 Series Robo-Six tractors will be illustrated at the machinery show by the 7-160 Robo-Six, which has 151hp automatically boosting to 165hp for road travel and when operating pto-driven mobile equipment. 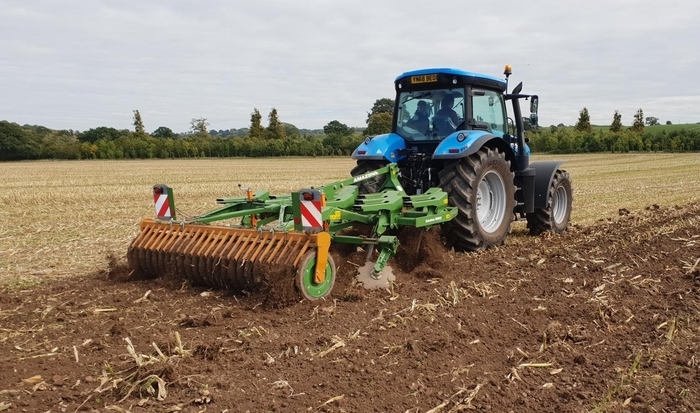 “This is an advanced tractor but one that’s easy to operate, especially in Activespecification with manual spool valves and not too many electronic features,” says Will Doyle.